I’ve always had a love for painting nails. Long time readers will remember my nail art phase and I even had a go at gels too with a kit I picked up off ebay for about £15! Sadly they never lasted and it was all a bit messy so I resigned myself to the fact that I’d be paying salon prices for my beloved gels and keeping them to a pre-holiday treat! Earlier this year I discovered a great at home gel..ish kit that cures a gel-like polish in under 60 seconds. It worked really well for me and did give a good finish, but it still wasn’t as hard wearing or solid as my usual salon Shellac or OPI nails. 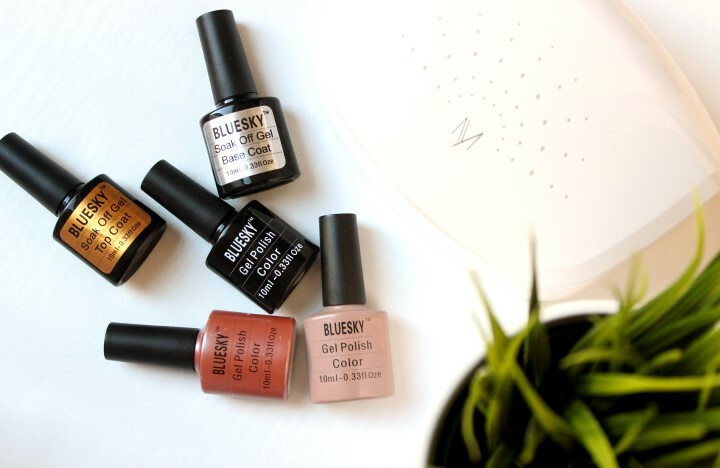 Introducing Bluesky, a gel nail polish you can use at home that lasts as long as any shellac I’ve had done in the salon! 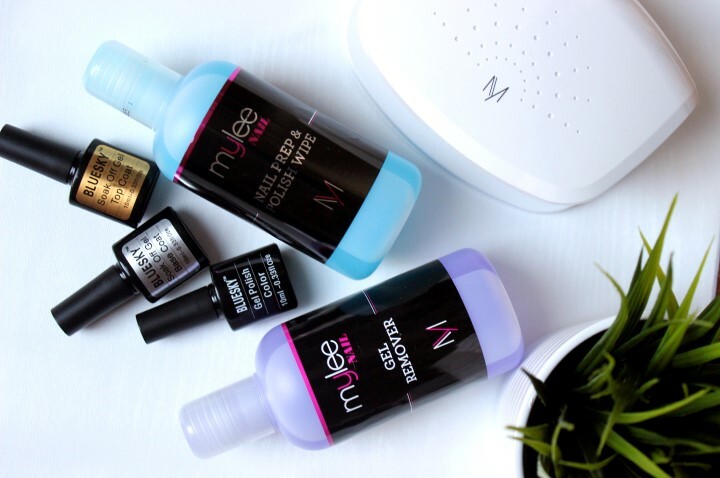 I got the Mylee UV Gel Starter Kit along with a selection of Bluesky polishes to try out and I was dubious. Dubious because my previous at home ‘proper’ gel attempts had been disastrous and dubious because the entire at home kit cost only about £10 more than what I’d been paying for ONE gel treatment at my favourite spa! I laid everything out on the table, looked through the instructions and got testing. I’d already had a bit of practice at gel nails having experimented at home before and also watched technicians doing them on me again and again, but even a novice gel nailer could follow the instructions for these they’re incredibly easy. Prep, Base coat, Two Colour Coats, Top Coat, Wipe and you’re done! 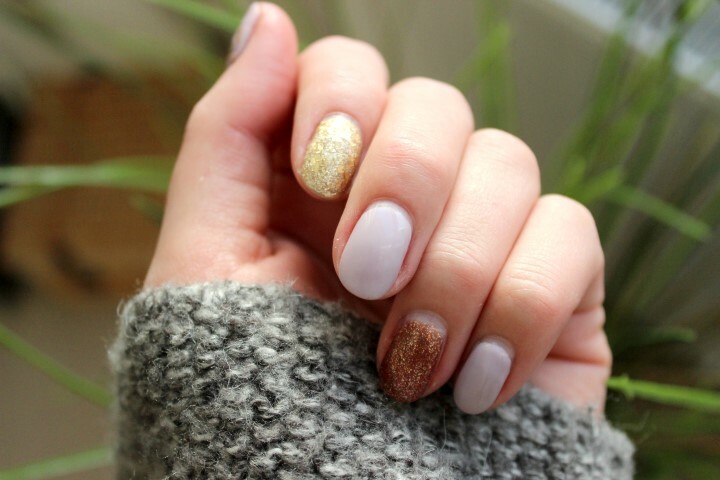 Hard as nails gels in around 30 minutes that look and feel just like shellac…but do they last? I’ve given this kit a real test before writing up my review – doing the nails of my friends and family too and really putting my nails through their paces! I’m pleased to report that they lasted longer than some Shellac I’ve had and the removal was about the same too. A lot of people had warned me they might be tricky to take off, but with a bit of a soak they were gone and my nails were completely fine underneath – winner. When compared to standard polish, applied even with the best pre-paint prep, there’s no contest. My ‘normal’ nails were chipped within 5 days, the gels powered through to the 3-week mark as good as new – I am one happy (perfectly manicured) bunny! I honestly can’t rave about this kit enough, I’ve become a bit obsessed with buying more and more colours! I really can’t see myself having to go back to the salon again (apart from a bit of a luxury pamper occasionally) because these are a real winner and I really enjoy giving myself time to pamper and paint them at home. With the polishes selling at around £6.50 and the whole starter kit coming in at just £39.99 (don’t forget to add your wipes! ), what more could you ask for! WATCH: My Easy Tutorial For Gel Nails at Home Using This Kit! Have you tried Bluesky gels before? What’s your favourite colour?